Koenigs’ PhD work focused on a small sample of recorded cases of people who suffered brain injuries and later experienced severe behavioral and personality changes. That sample included Phineas Gage, a mid-1800s railroad worker whose survival of a horrific brain injury, and the changes those injuries caused, made him one of the most studied figures in neuroscience. Koenigs’ questions then, like today, were aimed at understanding the brain circuitry important to social, emotional and moral regulation. But today, he has access to millions of data points from magnetic resonance imaging (MRI) brain scans, provided by more than 300 prison inmate volunteers who have been assessed for psychiatric illness. That’s especially true in the supercharged era of high-throughput computing (HTC), where researchers can process and analyze massive data sets in days what would have taken decades with conventional techniques. Brain science is just one of many fields being reshaped and reconsidered thanks to computational approaches pioneered by Morgridge Institute for Research Director of Core Computational Technologies Miron Livny. Here are three stories of UW-Madison researchers harnessing HTC to better understand brain connectivity and disorder. 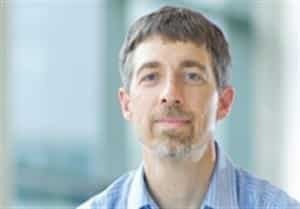 Kalin, the Hedberg Professor and Chair of the UW-Madison Department of Psychiatry, is studying both the genetic and environmental markers of anxiety, a disorder that affects as much as 20 percent of the population. Working with a non-human primate population, HTC has enabled Kalin’s team to analyze positron emission tomography (PET) scan data from more than 600 subjects, each of which has hundreds of thousands of data points. The team estimates that attempting such work with conventional desktop methods would have taken 300 years of computing time. Kalin’s work is focused on ways to better identify and treat anxiety disorders much earlier in life, “before it takes its toll on one’s ability to negotiate the world,” he says. The work with Rhesus monkeys is unique in that investigators understand in great detail the relatedness of the colony, which enables the group to explore not only the brain circuitry underlying anxiety, but the likelihood of a genetic underpinning to the disorder. Kalin says they have identified heritability playing a key role in about 40 percent of cases. Kalin’s work has focused on brain areas such as the amygdala and hippocampus, which are known to have a strong connection to development, learning and “sculpting” of the brain — or the “neuroplasticity” that allows the brain to change in adaptive ways. His research showed that in young monkeys with an extreme disposition for anxiety, these areas of the brain have been altered in a way that makes them less effective. What’s remarkable about the HTC work is this hypothesis was generated after — not before — the data analysis. “We learned things that were not in our original docket of questions,” says Andrew Fox, a psychiatry PhD and “hands-on” force behind the HTC project. Beyond greater computing volume and speed, it helped the group collect more reliable results, overcome sample bias, and approach the science with a respect for the complexity of brain function. “That other 90 percent is where the secrets are,” adds Kalin. Here’s an astonishing question: Would it be possible to see, in the synaptic signatures of the human brain, the difference between perceiving something and imagining it? The answer is yes, thanks to some unique tools developed by Barry Van Veen, a UW-Madison professor of electrical and computer engineering. Van Veen is developing signal-processing tools for electroencephalographic (EEG) and magnetoencephalographic (MEG) technologies that help scientists measure connectivity and cause-and-effect relationships in the brain. Connectivity has become a huge focus of brain research. Contrasting with the notion of phrenology a century ago — a theory that every nook and cranny of the brain could be assigned a unique, localized purpose — scientists today are finding that most cognitive function involves interactions between different brain regions. 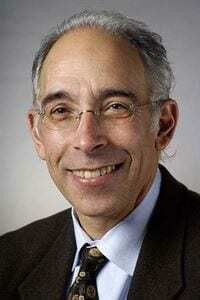 Van Veen is working with researchers such as UW-Madison psychiatrist Giulio Tononi, who studies sleep and consciousness; and UW-Madison psychologist Brad Postle, who studies memory. His tools also were used in a connectivity-related study of spina bifida, where the cause-and-effect connectivity mirrored what is already known from anatomical studies. Van Veen is currently working on a project using transcranial magnetic-stimulation (TMS) to look at cause and effect connectivity in varying states of consciousness. With TMS, researchers can send a magnetic “ping” into one localized part of the brain, and then track the traffic that ping sets off throughout the brain. TMS is a good technology for testing the tools because they know that the “ping” effect is much more muted during sleep than when awake. Scientists are looking at the level to which brain connectivity is fundamental to consciousness. One extreme of lost connectivity would be a coma state; an extreme of high connectivity would be with epilepsy and a grand mal seizure. “The balance of connectivity is a key to healthy brain function,” he says. Van Veen enjoys being at the furthest frontiers of this research, trying to measure things never before captured. The work someday may have implications for disorders linked to connectivity, such as epilepsy, autism or schizophrenia. It might also help improve monitoring of anesthesia. 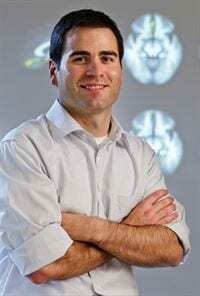 Koenigs is using HTC to better understand the brain circuitry of people diagnosed as psychopaths – individuals who generally have no regard for the rights and welfare of other people. While psychopathy is found in less than 1 percent of the general population, nearly 1 in 4 prison inmates test out as psychopaths. Koenigs has a unique relationship with the Wisconsin Department of Corrections to interview and collect MRI data from more than 300 inmate volunteers. The goal is to one day identify signatures of psychopathy that could lead to early interventions and reduce a problem that costs society more than $300 billion annually. Koenigs encounters the “lock ‘em up and throw away the key” mentality regarding his subjects, but that ignores the heavy toll this poorly understood disorder takes on victims and on society. An early application of Koenigs’ work has been in the court system, where a diagnosis of psychopathy has been used to help determine potential for repeat offense and length of sentences. The HTC work has allowed Koenigs’ team to log more than 200,000 CPU hours of MRI data, helping measure interactions in the brain related to questions such as empathy and emotional control. With the large number of subjects, Koenigs can better identify the variabilities that really matter to this issue.